Gynecomastia or male breast enlargement that can affect one or both breasts. 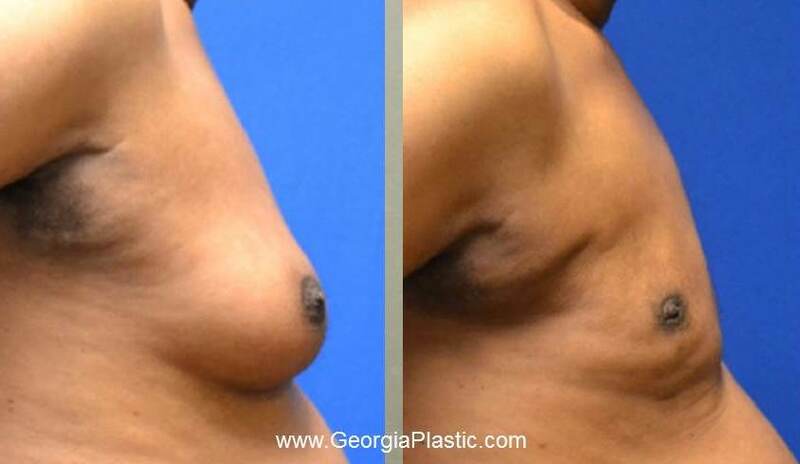 Gynecomastia in Nigeria occurs at times of male hormonal change during infancy, adolescence and old age. The enlarged breast may feel tender and painful at times. Men with Gynecomastia in Nigeria feel embarrassed about their chest contour. Once longstanding, most males seek treatment for breast enlargement to avoid embarrassment and restore normal male chest contours. Surgical results are excellent in the hands of a properly trained plastic surgeon such as Dr. Okoro. If you need breast reduction due to gynecomastia, it is very important to consult with a reputable plastic surgeon with a lot of experience. Dr. Stanley Okoro is a Nigeria born, but American trained double board certified Plastic Surgeon who returns to Nigeria every 2 months to treat Nigerians in Nigeria. Nigerians can now have world class care in Nigeria. Dr. Okoro has extensive experience with male breast correction surgery due to his long service with members of the United States Navy, Marines, & other armed forces. To achieve the best results, Dr. Okoro usually combines liposuction with or without skin excision depending on your needs. Male breast is one of the four areas on men most commonly treated by liposuction. The other areas are the abdomen, flanks, and facial liposuction. Men with excessive fat in their breasts are good candidates for liposuction. Depending on the characteristics of the breast tissue, Dr. Okoro excises dense breast tissue through a small semicircular incision around the areola and he performs liposuction to sculpt and contour the surrounding soft tissue. The best result in male breast reduction surgery comes from surgical art, experience, and judgment. To determine if you are a good candidate for male breast reduction surgery, Dr. Okoro will review your health history and perform an examination during your consultation. During the consultation, Dr. Okoro will understand your goals and desires and he will review available techniques for treatment. Male breast reduction surgery is usually performed as an outpatient procedure. 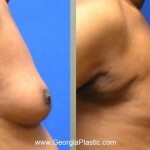 Male breast reduction procedure will be performed in Lagos or Abuja, Nigeria. The exact location will be determined after your consultation with Dr. Okoro. He usually performs male breast reduction surgery as an outpatient procedure. Dr. Okoro performs surgery in the hospital to ensure your safety. If you prefer, your surgery can also be performed in the Atlanta Georgia, United States. However, you will be responsible for the additional cost of transportation and housing in the Atlanta. Your satisfaction involves more than a fee. When choosing a plastic surgeon for male breast reduction in Nigeria, remember that the surgeon’s experience, results, safety, and your comfort with him are just as important as the final cost of the surgery. Dr Okoro’ s concerns are your safety, excellent outcome, and satisfaction. Your fees are discussed with you after your consultation with Dr. Okoro. You will be provided an estimate for your procedure. Our fees are all inclusive of the surgeons fee, anesthesia fee, , hospital fees, medications, garments and all followup visits. All fees are paid prior to your procedure. A consultation with Dr. Okoro is required before we can schedule your procedure. During your consultation with Dr Okoro, he will evaluate your condition and give you his opinion. He will work with you to develop the best plans for you. Our consultation fee is N50K. This fee is deducted from your surgical fee. For more information about male breast reduction surgery in Nigeria, or to schedule a confidential consultation with Dr. Okoro, please call our Atlanta office at +1 770 485 1554. Feel free to contact us by email: info@abujaplastics.com All e-mail correspondence are highly confidential.